The Zelda-like journey will commence this November for PS3, Xbox 360, 3DS and PC. Today, Little Orbit announced that Adventure Time: Secret of the Nameless Kingdom will be making its way to Xbox 360, PlayStation 3, 3DS and PC this November. In this Zelda-like adventure game, players set out to find, rescue and choose a princess to rule the Land of Ooo, but it's a quest that's far from easy, with a cavalcade of bad guys and quests to take on. 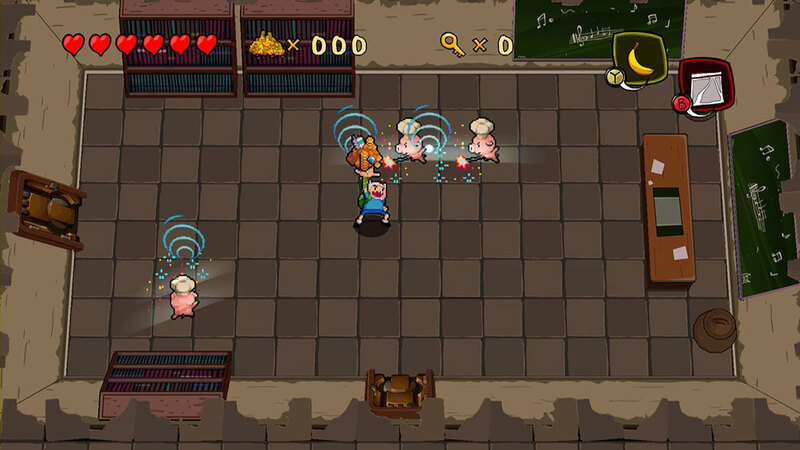 The game features a variety of characters from the hit series, as well as unique gameplay that's certainly expected for Finn and Jake's fantasy style. You can bet there'll be plenty of epic high-fives. Expect Secret of the Nameless Kingdom to arrive this November. Robert Workman posted a new article, Adventure Time: Secret of the Nameless Kingdom coming this year. And will in all likelihood be just as terrible as the others. We need a good developer to make an Adventure Time game. If you're into endless runners, Time Tangle is a pretty fun diversion. Then again, I'm biased because it was made by my friend. Still a fun game.